Kick off your 2018 holiday season in style with a parade in downtown Toledo and parlay your celebrations into December with one of many holiday events around Toledo. The Blade Holiday Parade kicks off the holiday season in downtown Toledo. One of the largest parades in the Midwest, The Blade Holiday Parade steps off at 10 a.m., Nov. 17. The parade will feature more than 80 units including color guards, giant balloons, clowns, marching bands and dance teams. Santa Claus himself will make an appearance and go straight from the parade to Imagination Station to hear wishes from area children. The parade starts on Summit Street, travels down Jackson Street and Huron Avenue, and ends on Washington Street. The Toledo Zoo boasts a couple of holiday events that will be fun for the whole family. The much-anticipated re-opening of the Toledo Zoo’s beloved tunnel entrance is scheduled for 5 p.m., Friday, Nov. 23 at 2 Hippo Way. Once open Lights Before Christmas, presented by KeyBank, shines nightly from through Sunday, Dec. 31. The festivities continue about 6:10 p.m. with the lighting of the giant 85-foot Norway spruce, decorated with more than 35,000 LED bulbs. These holiday traditions are sure to make your holidays merry and bright. Learn more, including ticket information, at toledozoo.org/lights. Ballet Theatre of Toledo’s production of the holiday favorite The Nutcracker runs Nov. 23-25 at Valentine Theatre, 400 Adams St. in Toledo. Don’t miss out on the magic of this classic ballet that transports you back in time to meet Clara and her handsome Nutcracker as they battle the mice, travel through the glistening snow scene on to the magical Kingdom of Dreams and Candy. For tickets call: BTT-419 861-0895 or The Valentine 419-242-2787. Ring in the holidays at one of northwest Ohio’s most festive celebrations. More than 25,000 people make this event a family tradition. See how volunteer decorators transformed the 30,000-square-foot home into a winter wonderland. Stop at the welcome tent to make s’mores, and wander over to Metroparks Hall, just a short walk from the Manor House, to warm up while enjoying family-friendly activities and more decorations. The Toledo Zoo draws 2018 to a close with Noon Year’s Eve. Pint-sized guests get an earlier opportunity to ring in 2019 from 11 a.m. to 1 p.m., Monday, Dec. 31. Families can enjoy making conservation reZOOlutions, craft time, an ice carving demonstration, animal feeds/enrichment, as well as the Ice Slide in the Winter Village sponsored by Kroger. You’ll celebrate the stroke of noon with the rising of the zoo’s recycling ball, a cascade of biodegradable confetti, apple juice toast and a chorus of ‘Auld Lang Syne.’ Get more information about the event. 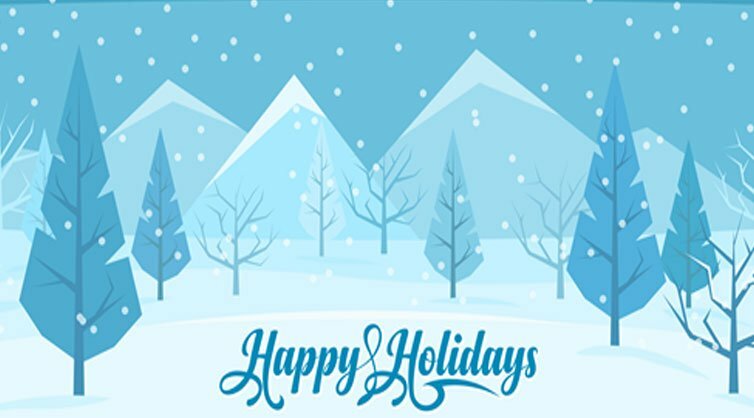 Central Collision sends wishes of joy, love and peace from our family to yours this holiday season! Central Collision is a state-of-the-art collision repair facility servicing NW Ohio and SE Michigan. Central Collision was established in 1975 and specializes in collision repair, body and fender repair, custom paint matching and unibody and frame straightening. Call us at 419.841.2525 or stop by the shop Monday through Friday between 8 AM to 5 PM, 7939 W. Central Avenue, Toledo, OH 43617.